At Gogi Time, you are the chef! Choose from our delectable selection of top quality beef, pork, chicken, seafood, and vegetables; then grill it all up on our table top gas powered grills or simmer in our homemade hot pot broths! In addition, we also offer an extensive variety of traditional Korean entrees a la carte, perfectly prepared in our kitchen! Thirsty? Have a ice-cold beer on tap or try one of our amazing fresh fruit soju cocktails! Whatever your taste, you are sure to find something to tempt your palate and quench your thirst! 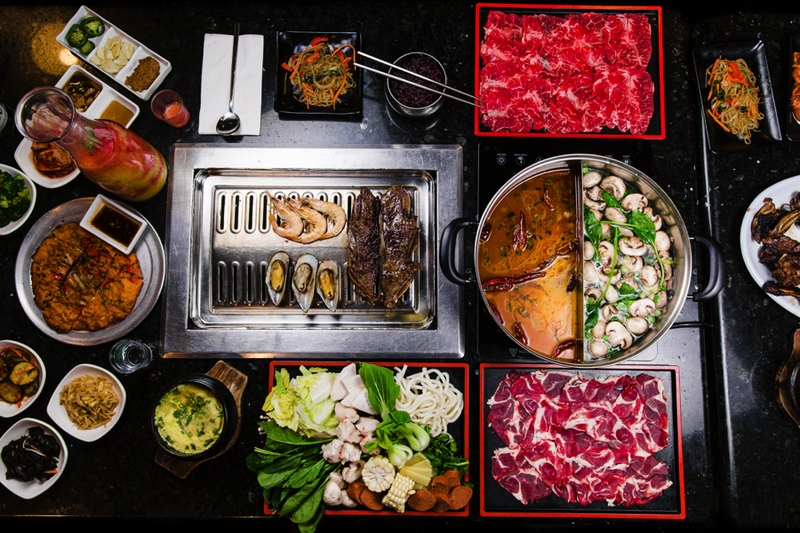 From all of us at Gogi Time, we look forward to providing you a unique and fun Korean BBQ and hot pot experience! Grill your meats in the traditional Korean fashion, on a table top grill. Served along with soup and sides. Cook thinly sliced cuts of meat and fresh vegetables in a simmering hot pot filled with a broth of your choice! We pride ourselves in our fresh fruit soju cocktails. In addition, we carry a wide variety of draft and bottled beers. And of course, no real Korean meal is ever complete without soju!